The Canadian Business Council Abu Dhabi is holding its annual Maple Leaf Ball (MLB) 2019, a grand Gala Dinner celebrating our distinguished Canadian and U.A.E. companies in Abu Dhabi. Start the evening with canapes, cocktails, and the mystical illusions of Felipe. Enjoy an exquisite four-course dinner and ... back by popular demand, Canadian Nuvo Soul Band! Book your tickets and be entertained at the Maple Leaf Ball happening on Thursday, 25 April 2019, 6:00pm till late at Bab Al Qasr Hotel Abu Dhabi. This prestigious gala dinner is open to all! Bab Al Qasr Hotel is offering a special room rate of AED 485.00 net BB including all taxes and charges, and with breakfast for 2 persons in the All Day dining restaurant. For booking, please contact +971 2 205 3028. Sponsorship opportunity is available. Please download the sponsorship packages here for further information. Our Relationship and Sales Manager, Awais Chughtai (members@cbcabudhabi.com | 0558223518) is happy to assist you. Watch the video highlights of MLB 2017 and MLB 2018. 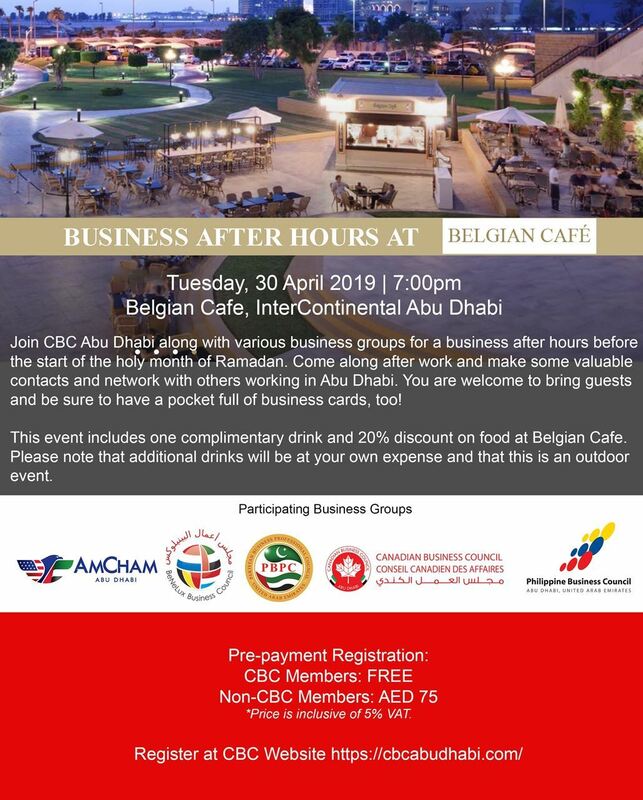 Join CBC Abu Dhabi along with various business groups for a business after hours before the start of the holy month of Ramadan. Come along after work and make some valuable contacts and network with others working in Abu Dhabi. You are welcome to bring guests and be sure to have a pocket full of business cards, too! This event includes one complimentary drink and 20% discount on food at Belgian Cafe. Please note that additional drinks will be at your own expense and that this is an outdoor event. 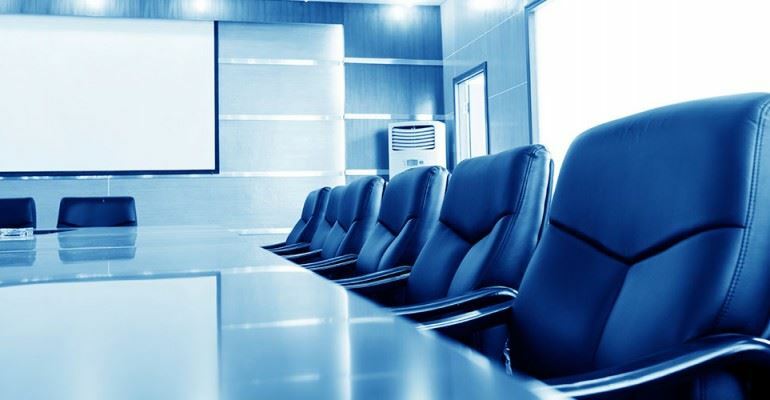 Re-appoint Baker and Tilly as auditors for the financial year ending 30 April 2020.